I'm trying to add displacement to an object via generated textures in cycles. For some reason it adds this line across my objects. If I view the texture on the surface it looks fine (see 2nd screenshot). The moment i use a diffuse color on the surface the line shows up. 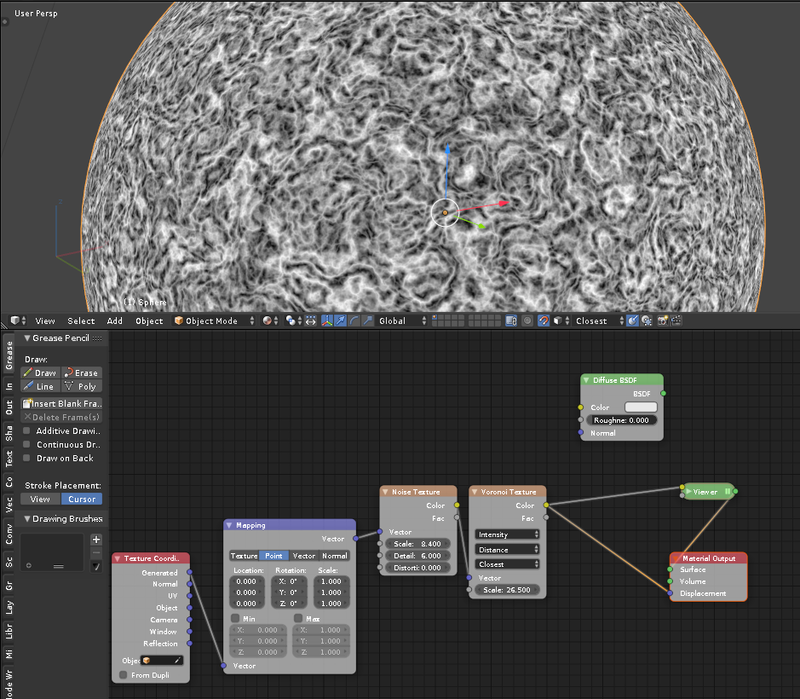 I've tried adding a "normal" node as well as displacement node. I can't make the line go away. Any ideas? Thanks! You are presumably using a Blender version greater than 2.79b - eg, 2.79.5 - where the Displacement socket is now a vector rather than a scalar value (blue rather than gray). You need to add a Displacement node before the Displacement socket to convert the ‘height’ from your texture into a vector along the normal of the surface, rather than interpreting it as a cector in world space. Not the answer you're looking for? Browse other questions tagged cycles displacement or ask your own question. How to edit textures with texture paint in Cycles like GLSL in Blender internal? 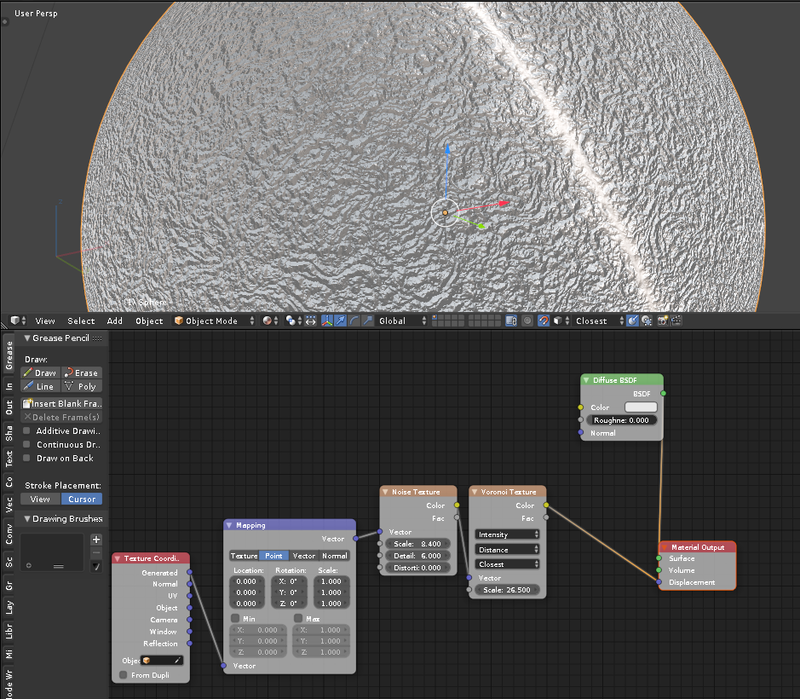 How do I bake multiple texture maps into 1 UV, In Blender Cycles?